Building pieces are made of soft, brick-patterned foam. 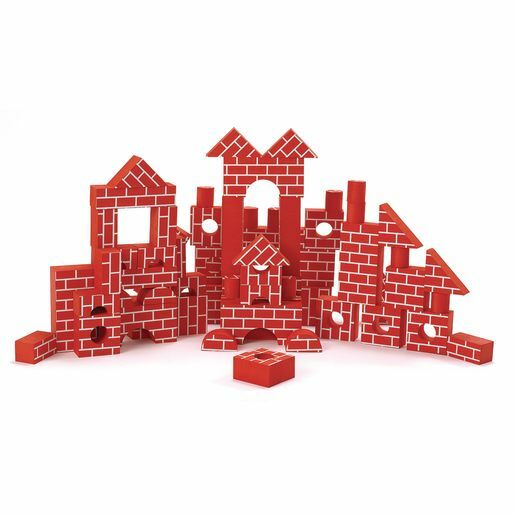 Perfectly cut edges make it easy for small hands to stack and build. Based on a unit measurement of 1-5/8" x 3-1/8"